After one season with the Miami Heat, Amar’e Stoudemire has decided to retire following a reasonably successful 14 year NBA career. Stoudemire had just recently signed a deal with the Knicks but immediately after decided to hang it up for good. 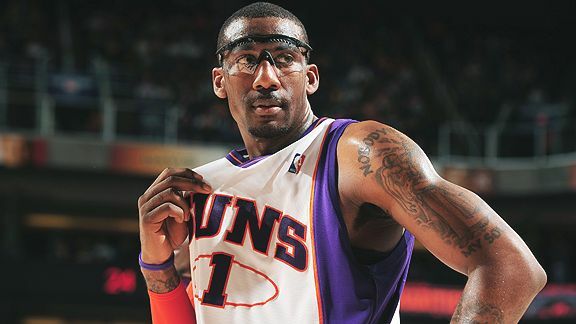 Amar’e was drafted in 2002 by the Suns however, where he spent 8 of the most exciting years of his career, helping to build the Suns alongside hall of fame point guard Steve Nash to become one of the most exciting teams in Western Conference for years to come. During his time in Pheonix he was a 5-time all-star and won Rookie of the Year honours in 2003. After being knocked out of the 2010 playoffs, Stoudemire decided to follow his fellow head coach Mike D’Antoni to New York, where he would do things in a city that hadn’t seen alot of winning in a long time. In just his first season with the Knicks, Amar’e racked up an average of 25 points and was the first Knick selected for an All-Star game appearance since Patrick Ewing in 1997. Although he started off great, his constant battle with knee issues was ultimately the detrimental factor to his career and eventually had him in a limited role on the court. Soon after Carmelo Anthony came into the fold, Stoudemire opted to be bought out and moved on to Dallas before ultimately playing his last season in Miami.